BONUS!!!! 100 Lunch and Dinner Recipes at the end. Why homemade goodies? Because they they are homemade :) I know it is easier to buy some cookies from a pastry, but do they taste as the one we do at home? I don't think so. I encourage everybody that has time and passion to choose a well homemade cupcake instead of bought one. It is not only the taste, but the satisfaction you get after cooking something. In this book you will find recipes that are very easy. I can say that most of them can be made by mixing up and baking. Do you enjoy cookies? Do you like them pillow-soft or chewy? I like mine crispy edges and golden brown. But, you may like rich molasses cookies, maybe gooey oatmeal, who knows? Anyway, you will find plenty of recipes that will fit your tastes. With easy-to-follow cookie recipes,from the classic sugar cookies to brownie sandwich cookies, and everything in between, they are all here. For sure, you will find at least 1 or two, �� three recipes that will be your favorite. Go try Mocha Cupcakes or Snickers Cupcakes or Coffee Cake. They are phenomenal. 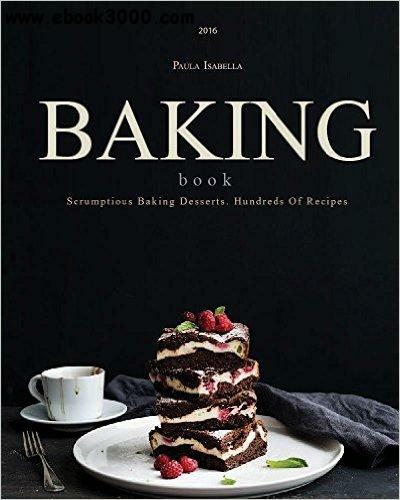 This book is going to be your companion in the kitchen, helping you by providing over 300 baking recipes such as cakes, cupcakes, pies and cookies. Scrumptious recipes with a big variety: from the two big classic chocolate and vanilla cake to peppermint, peanut butter, mint and much more. Discover plenty of amazing recipes that will fit your tastes and that will inevitably make you want to cook them again and again and again.